There are many people that are relocating to the Chicagoland area. Moving can be a stressful thing. Buying a new home, condo or whatever your heart desires takes time and patience. Some people need temporary accommodations during this process. 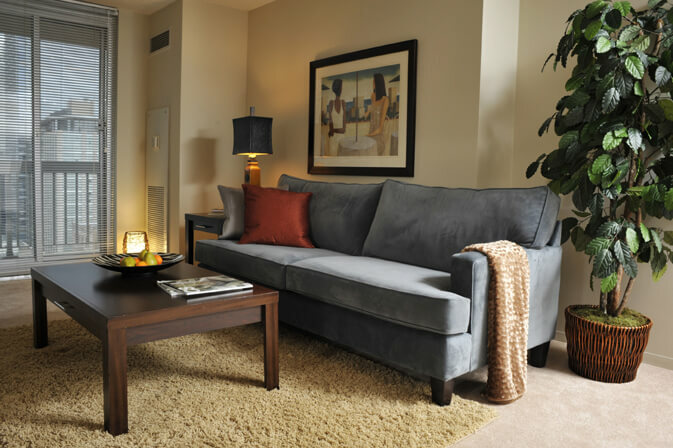 Premier Luxury Suites offers affordable Chicago suburbs relocations services. We have beautiful properties with tons of amenities to make your stay with us as comfortable as possible. Our customer service professionals go beyond the call of duty to make sure that your relocation goes as smooth as possible. Some of our properties include Grand Plaza, One East Delaware, The Shoreham, Arkadia Tower, Northgate Crossing and Kingston Pointe. These are just some of the marvelous properties that we offer here at Premier Luxury Suites. Each suite comes with their own unique features and beautiful views. Weekly maid service is just a part of the package. You also get high speed Internet, telephone, cable tv, and access to all downtown locations. We want you to enjoy your stay with us whether it is for a few weeks or even a few months or longer. Affordable Chicago suburbs relocations services from Premier Luxury Suites is the way to go when you are thinking about moving to the Chicago area. You will have stunning living room features, bedroom features, bathroom features, kitchen features, dining room accommodations, electronic features and optional office features. Our experts here at Premier Luxury Suites will take the time to show you different suite options, so you can make a decision on which one you like most and the one that is right for you. Finding affordable Chicago suburbs relocations services can be a challenge but with Premier Luxury Suites the job is made much easier. Besides, you have other things on your mind, and you should not have to worry about where you are going to be staying before you move into a permanent establishment. Photos have been posted on this user friendly website to give you a better idea about the upscale suites that we offer. Some suites have gorgeous skyline views of the City of Chicago. All of our suites offer the relaxation and stress free environment that you seek. Premier Luxury Suites is proud to be able to offer you affordable Chicago suburbs relocations services. Different locations throughout the City of Chicago are available. We are Chicagoland's finest corporate housing provider. Contact us with any questions about our properties and our affordable Chicago suburbs relocations services.